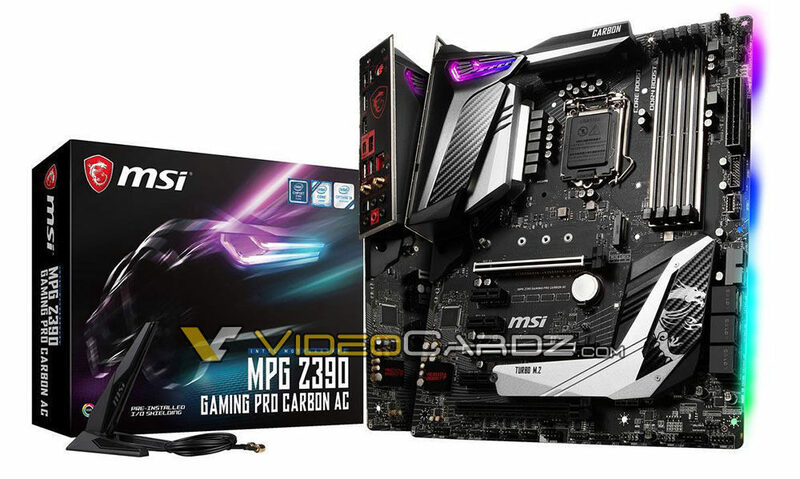 The most overengineered motherboard or the best motherboard money can buy? One thing is sure, the package includes more than just a motherboard. The M.2 expander card is not the only device bundled with the board. It appears that a streaming card will be added as well. 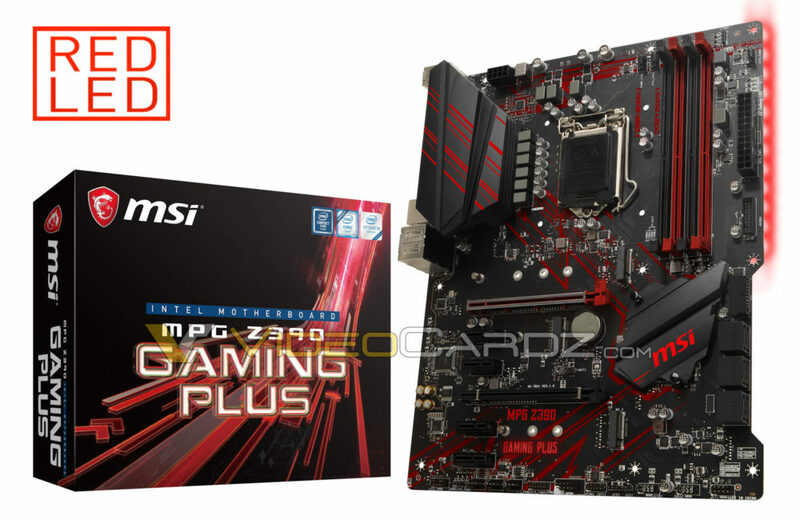 This isn’t the first time MSI is adding a streaming-supporting device to their motherboard. The last motherboard to feature onboard Avermedia encoder was X99S Gaming 9 ACK. This card, however, appears to be a capture card. The Z390 GODLIKE has four PCIe x16 slots and three M.2 slots (up to five with expander card) with their own heatsinks. 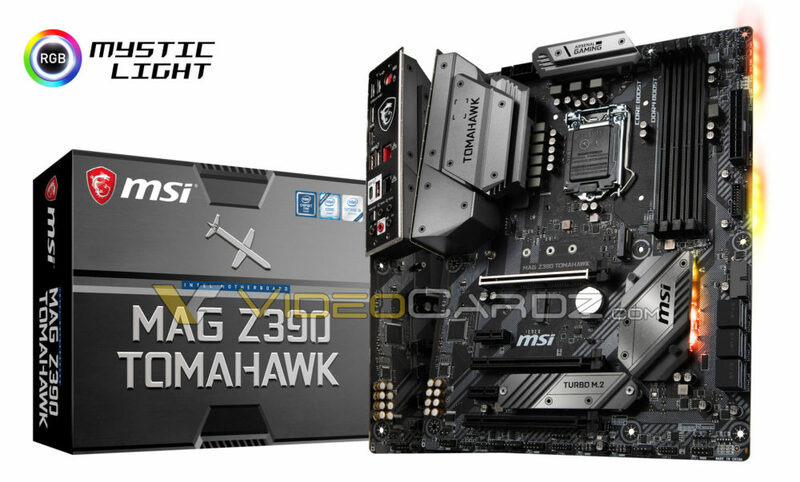 Notice that this motherboard is in E-ATX form factor (wider than standard ATX). 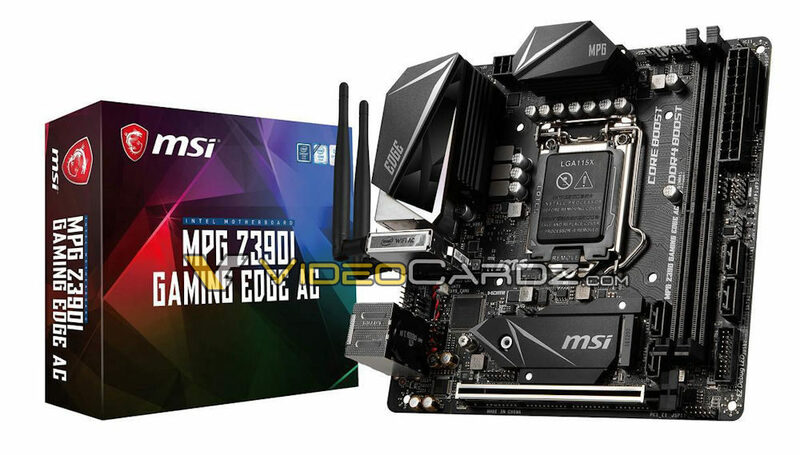 While the MEG series occupy the enthusiast segment, MPG will be a lower tier, but still a high-end board. There is a non-AC variant too (no onboard WiFi). 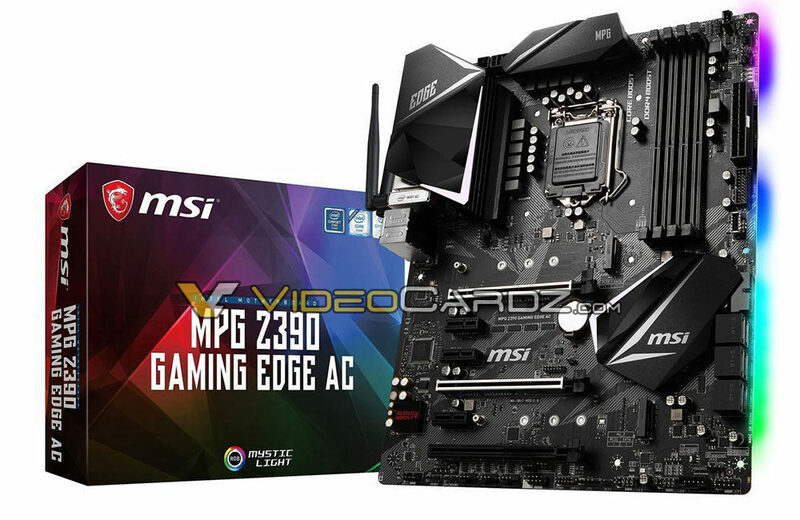 The new board in the Gaming series is MPG EDGE. Judging by the looks, it appears to be identical to Gaming Pro in terms of the PCB layout. So the changes are rather cosmetic (no reinforced memory slots), no heatsink over the M.2 slot and smaller I/O cover. 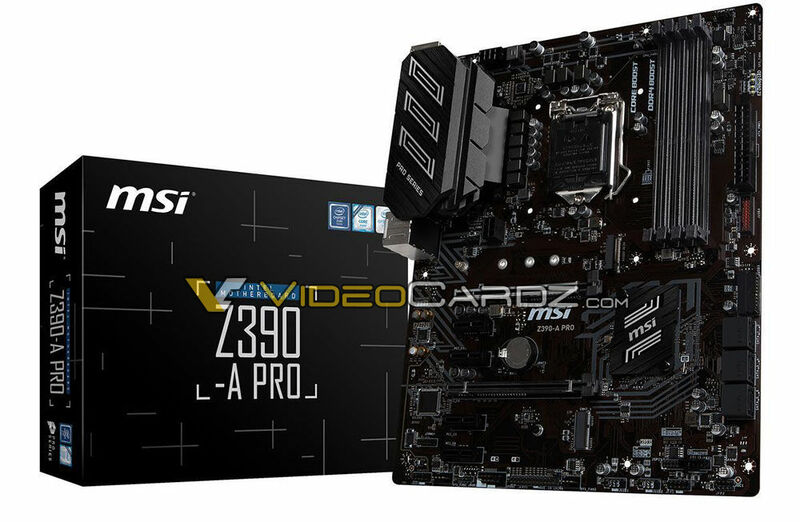 Yes, there is a Mini-ITX board too. The A-PRO series are the lowest tier in MSI lineup. The brown PCB is only for the real ‘enthusiasts of the past’. 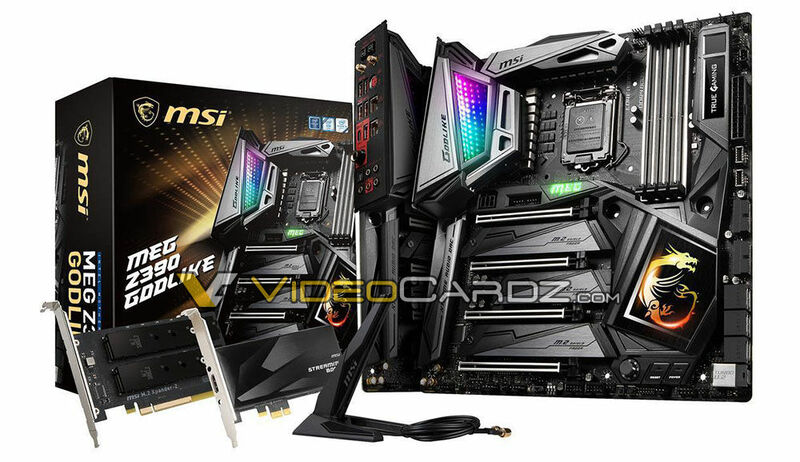 The new Z390-A PRO has a much bigger I/O cover than Z370 predecessor. Whether that was dictated by the design team or it was required for better thermals — we don’t know.